In 2014, Gabrielle Stroud was a very dedicated teacher with over a decade of experience. Months later, she resigned in frustration and despair when she realised that the Naplan-test education model was stopping her from doing the very thing she was best at: teaching individual children according to their needs and talents. 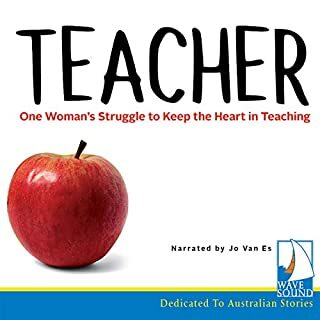 Her groundbreaking essay 'Teaching Australia' in the February 2016 Griffith Review outlined her experiences and provoked a huge response from former and current teachers around the world. Not enough superlatives in the universe. Enter the unique and compelling world of Eli Bell for the trip of a lifetime From school bullies, a wise and generous convicted murderer , a warm hearted smack dealer a highly literate struggling depressed alcoholic these are Eli’s role models Warm flawed heroes and psychopathic bad guys Couldn’t stop listening and was reluctant to let the story finish.This is the best book I’ve read for years . 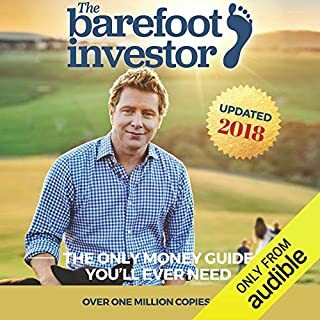 Barefoot explains how to gain control of your finances with plain simple steps Enough details to be really helpful . I usually hate thinking talking reading about money but this book has homespun truths financial know how and a little philosophy woven together.Its more about being in control of your financial future and definitely not a get rich quick book. Rebel forensic psychiatrist doubles as detective. 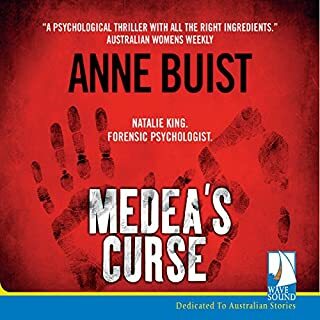 What did you like most about Medea's Curse? 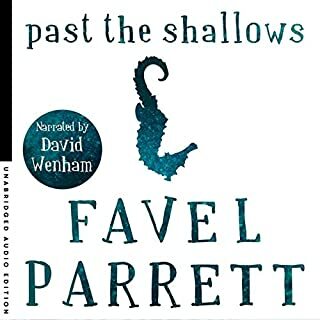 Complex plot,with well drawn quirky and likeable characters.Sometimes seems a bit far fetched and sometimes the author over explains things,however the story roles along so well it's easy to overlook these glitches .Engaging characters you come to care about and a cockatoo! Worth reading to the very end. What about Rebecca De Unamuno’s performance did you like? A book is always better with a cockatoo. Looking forward to reading the others in the series. 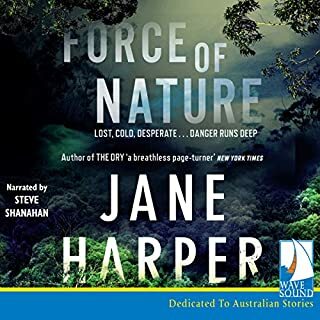 Adult executives who have honed their bullying techniques since schooldays ,parental guilt , intergenerational criminals, suspense and a missing woman in the bush.Superbly narrated. This book has it all. 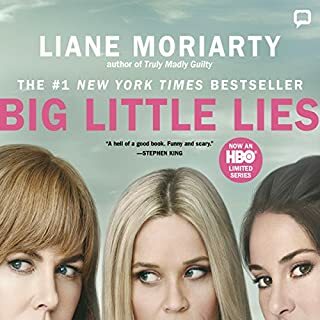 Mary a girl from a large poor family is hired to help recently widowed Nora with her disabled grandson.She struggles with the older woman's attitude to the child whom Nora comes to believe is a changeling. Nora accepts help from a local wise woman Nance who knows &quot;the cure &quot;and has &quot;the knowledge&quot; ,gained from the Good People ( the fairies) Superstition, herbalism,the old ways, Catholicism, and conventional beliefs, clash with devastating consequences.A story told and narrated with a deft hand. 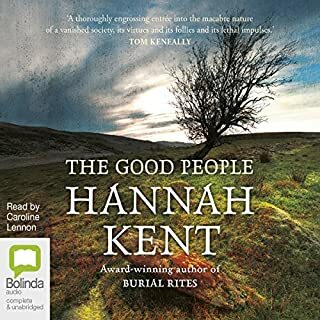 The attention to detail in this book is astounding.You can almost smell the smoke inside the cottages and hear the characters speaking, feel their apprehension,motivations and frustrations The narration is brilliant. 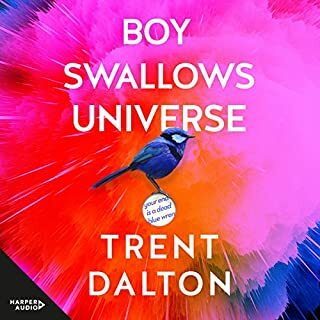 I would recommend the first half of this book.Starts out well believable and engaging but the ending is so ridiculous and the tying up of loose ends dubiously explained as are the final actions of the main character. At the end of the book you feel like you've wasted your time. 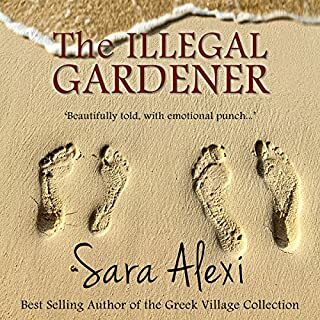 Serong sets a great scene but the story telling lets the reader down. 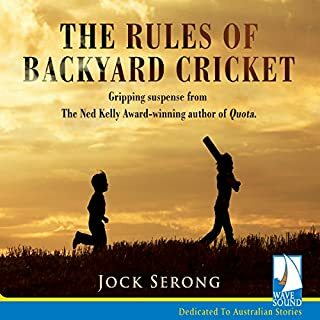 Was The Rules of Backyard Cricket worth the listening time? No only the first half was good the narrator did a great job but the storyline falters. Jock Serong should keep trying.I'll probably read another one but curb my expectations.